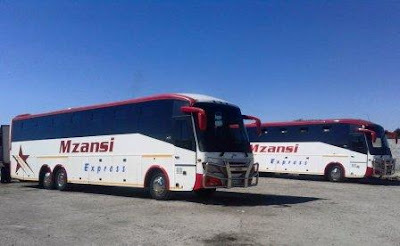 The Mzansi Express bus company, known to many for providing passengers with daily luxury trips from Zimbabwe to South Africa. Mzansi Express Founded by Cabangani Dylan Mangena in 2007, Mzansi Express has a particular focus on servicing the Johannesburg – Bulawayo route. They are currently expanding our services within South Africa and aim to extend them to Botswana, Angola and Zambia, Zimbabwe, Malawi, Namibia, Angola, Congo, and Mozambique. The company has its head-office in Johannesburg and has a depot in Bulawayo, Zimbabwe. Passengers and businesses have been offered services such as storage and warehousing facilities, door to door delivery, load consolidation services on unaccompanied luggage and insurance, among others. 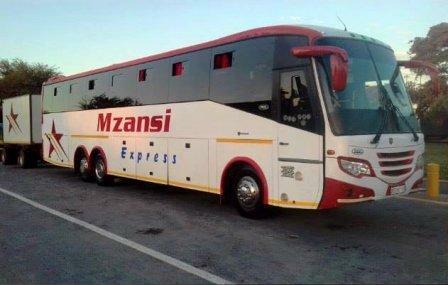 Mzansi Express is comprehensively equipped with a wide range of well maintained New Model Luxury coaches and vehicles. To ensure a high quality, efficient and prompt service, the average age of our fleet is maintained at three years and new vehicles are purchased every year. Their vehicles are regularly serviced and strictly maintained to set manufacturer maintenance schedules by their professional in-house mechanics and Scania South Africa and Zimbabwe. Johannesburg To Bulawayo via Polokwane, Musina, Beitbridge and Gwanda. Johannesburg To Chegutu via Musina, Beitbridge, Ngundu, Shurugwi, Gweru, Kwekwe and Kadoma.